Softer than silk and cooler than linen, this breathable odor resistant t-shirt is a trend setter. 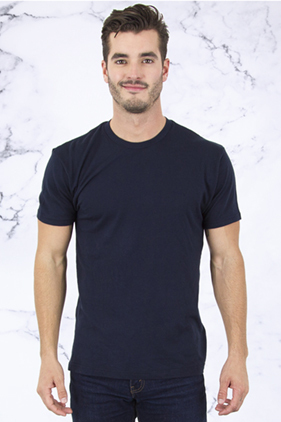 50% lyocell/50% combed ring-spun cotton, 30 single 4.6 ounce pre-laundered fabric unisex crew neck t-shirt. Shoulder to shoulder neck tape. Side-seamed. Tear-away label. Superb fit. South Korea fabric.